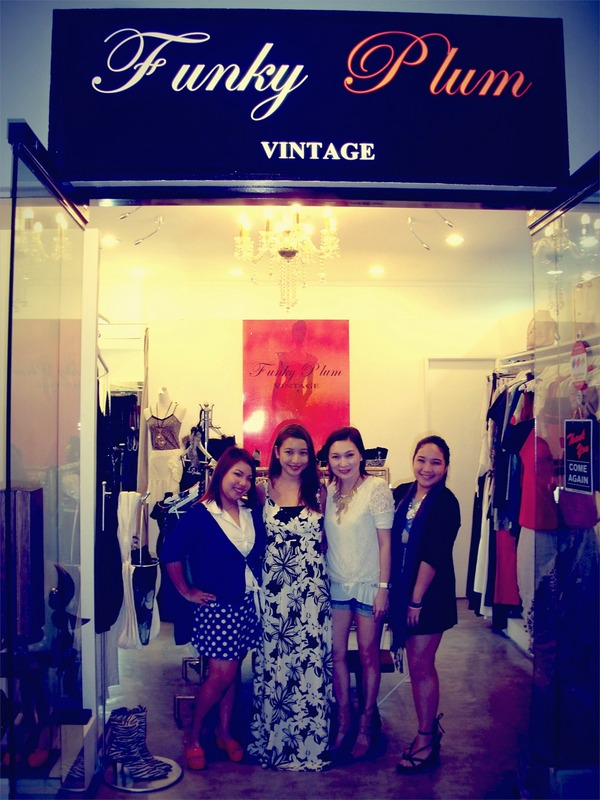 When in Manila, satisfy your fashion juice for vintage at Funky Plum! MENTION WHENINMANILA.COM! Automatically and get a gift check! You can use that immediately or in the future. 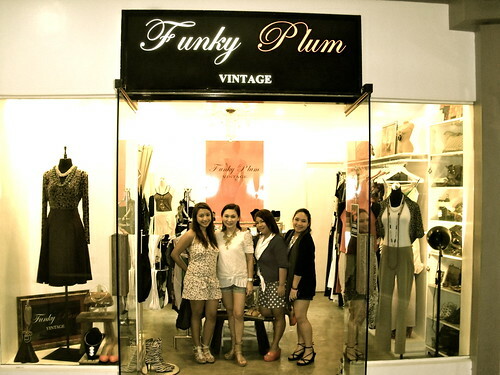 Funky Plum Vintage is a Specialty Store that is set to take you back to the basics believing that disposable fashion is fleeting… but classic flair is forever! 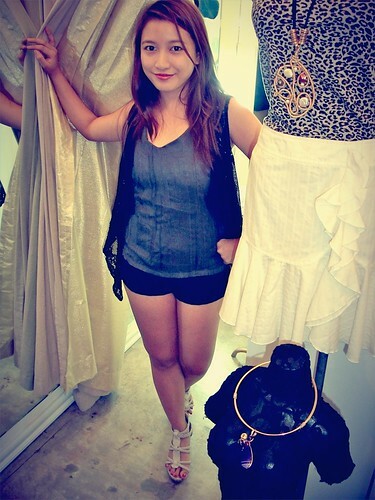 I visited their sleek and chic boutique store down south of Manila. It was a nice rainy Sunday, the streets were calm and so I was in the mood to shop and explore the south. 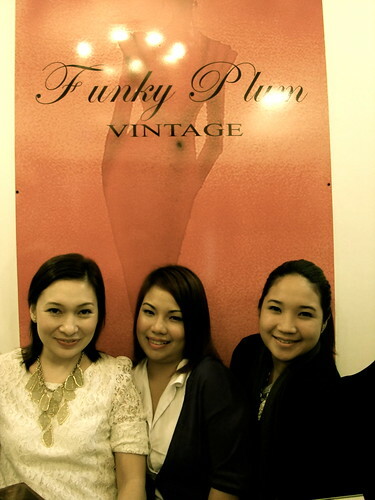 We were greeted by friendly smiles of the owners and creators of Funky Plum. 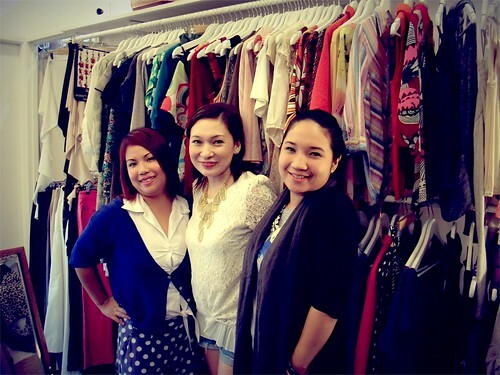 They gladly assisted me in browsing through their selection of dresses, bags, shoes and accessories. 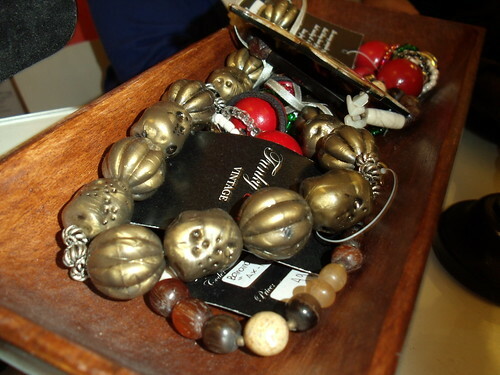 I had a chat with them and was very interested to learn that they have a special bond with their customers. 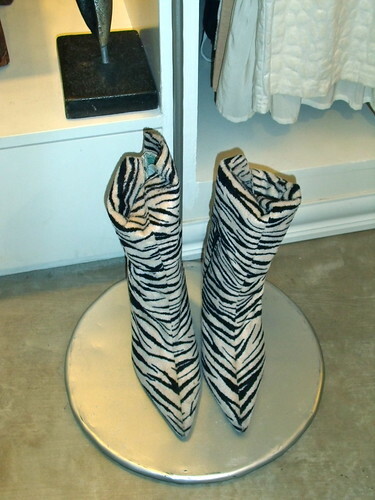 They lavish their clients with a very personalized boutique-type service. 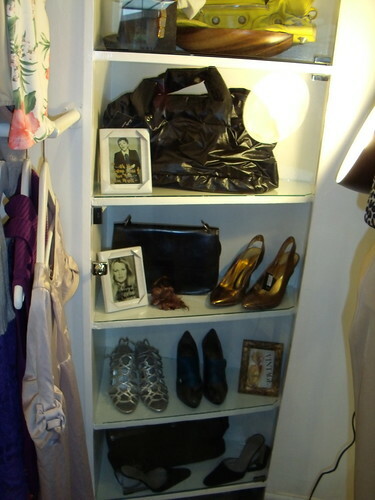 They act as personal shoppers and offer style advice on appropriate outfits for every occasion. Oh, don’t we all love to dress up?! Simply putting a little bit of effort in enhancing the way we look gives as a great amout of confidence to boost our day! Agree or disagree? and with that thought.. it’s time to put on some clothes and cam-whore! 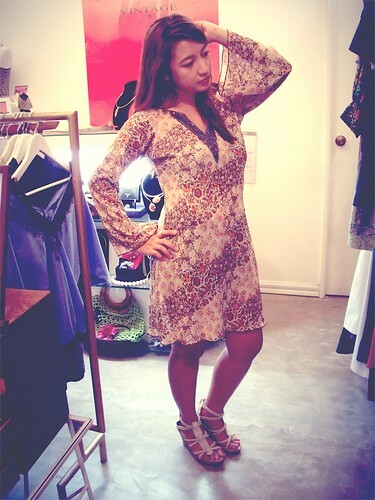 At work, don’t you feel more powerful when you dress-up even on a normal day? Sometimes I just make an extra effort in dressing up and I would feel “lucky” all day… but the secret there ladies is – I make my own luck :) I make an effort to feel lucky and feel good! Wearing green can makes you look fresh and makes your skin bloom! Funky Plum is perfect for every woman who want to reach her full potential regardless of age, shape or size. 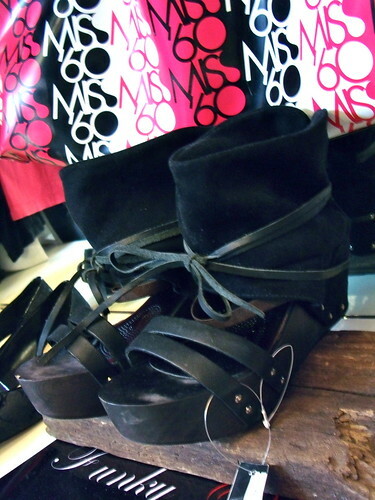 They also respect every woman’s individual style making sure not to impose trends that would cramp her personal taste. I felt that way when they were helping me pick outfits in the store! A stylish woman is not a slave to trends. She simply sticks to what trends look best on her. 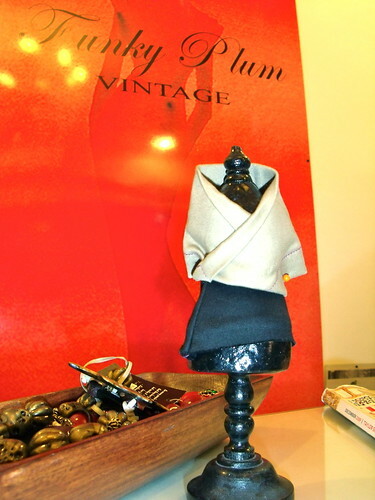 Classic with a twist is timeless! 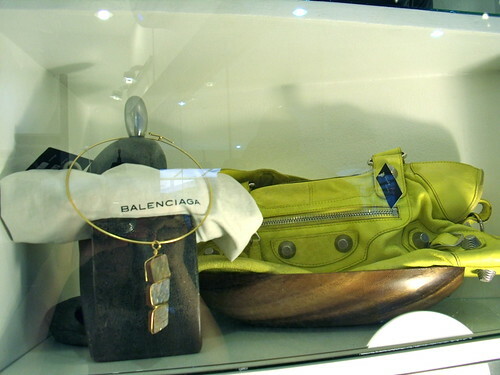 They also have one-of-a-kind designer stock lots with the following brands: Halston, Isabel Marant, Marc Jacobs, Kenneth Cole, Pacino Wan, Dianne Von Furstenberg, Chloe, See by Chloe, Barciano, Marc by Marc Jacobs and many more. Apart from the brands you see above, they also create their own designs from casual to formal wear – including bridal and prom gowns. And guess what, don’t panic anymore during Halloween if you don’t have a costume yet because they can do this too! Check out this lovely top that you can wear in many different ways! Just use your imagination and you will stretch how far this piece would go. 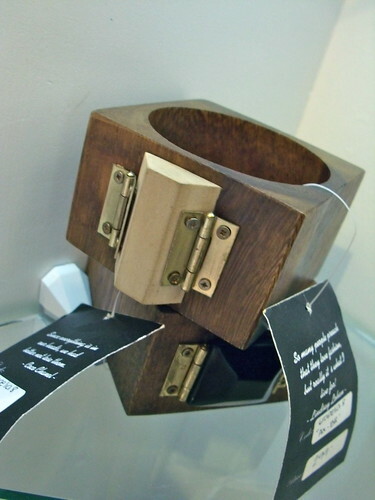 This is their own design and creation and I say is one of my favorites from the store! They have new items every week! And they also hold a great sale for everyone that could go up to 50% off on ALL items! So do watch out for that and follow them on Facebook. 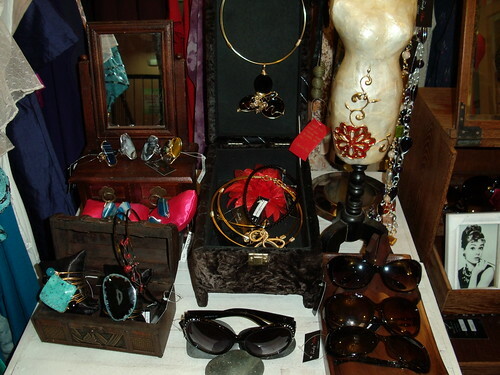 They also have one of a kind accessories specially designed and created exclusively for Funky Plum Vintage Stores by an artisan who works with copper and brass hardware mixed with semi precious stones.